Apple's annual Worldwide Developers Conference, where it historically has unveiled the next-generation versions of iOS and OS X, will kick off on June 8 this year, the company announced on Monday. WWDC will run at Moscone West in San Francisco June 8 through 12. The opportunity to buy tickets to this year's WWDC will be offered by random selection, the company said. Passes to the conference cost $1,599 U.S.
WWDC 2015 will feature more than 100 technical sessions, over 1,000 Apple engineers, hands-on labs, and the Apple design awards. For those who can't attend, sessions will also be streamed online, and more sessions than ever will be streamed this year. Apple said this year's event will showcase "the future of iOS and OS X," suggesting both iOS 9 and OS X 10.11 will be unveiled. 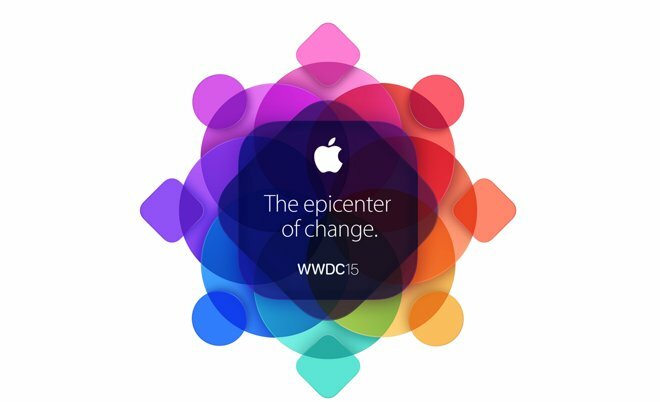 The tagline for this year's WWDC is "The epicenter of change." Apple also indicated that developers who attend will "learn about the future of iOS and OS X," suggesting that both iOS 9 and OS X 10.11 could be unveiled. "The App Store ignited an app ecosystem that is simply amazing, forever changing the lives of customers and creating millions of jobs worldwide," said Philip Schiller, Apple's senior vice president of Worldwide Marketing. "We've got incredible new technologies for iOS and OS X to share with developers at WWDC and around the world, and can't wait to see the next generation of apps they create." Developers can apply for tickets via the WWDC website now through Friday, April 17 at 10 a.m. Pacific. Tickets will be issued to attendees through a random selection process, and developers will know the status of their application by Monday, April 20 at 5 p.m. Pacific. Apple will also offer up to 350 WWDC Scholarships available, giving students and members of participating STEM organizations around the world the chance to earn a free ticket. More than 100 technical sessions presented by Apple engineers on a wide range of topics for developing, deploying and integrating the latest iOS and OS X technologies. Over 1,000 Apple engineers supporting more than 100 hands-on labs and events to provide developers with code-level assistance, insight into optimal development techniques and guidance on how they can make the most of iOS and OS X technologies in their apps. Access to the latest innovations, features and capabilities of iOS and OS X, and best practices for enhancing an app's functionality, performance, quality and design. A series of get togethers for attendees focused on particular topics with special guest speakers and activities. Engaging and inspirational lunchtime sessions with leading minds and influencers from the worlds of technology, science and entertainment.